96th Street and the big box holding up the train is the Obelisk beginning it’s trip to Central Park. View looking north from the north end of Riverside Park in 1890. The float bridges that once lined the Port of New York were designed to transfer freight cars from waterside rail yards to barges called car floats, on which they were taken out to ships or to rail lines in New Jersey that connected with the rest of the country.This thread presents the remnants of two float bridges immediately to the south of Float Bridge No. 4 at 69th StreetThe most monumental ruin of the rail yard is the shed on Pier D, transformed by fire 25 years ago into an undulating skeleton almost worthy of Frank Gehry. To its south, Pier C is a tangled spaghetti-like mass of rusting steel. Pier I (at 70th Street), a 715-foot recreational pier, is built atop the remains of the original wooden shipping pier. One of the most unique features of this first section of the new (Riverside Park South) park is the recreational pier. 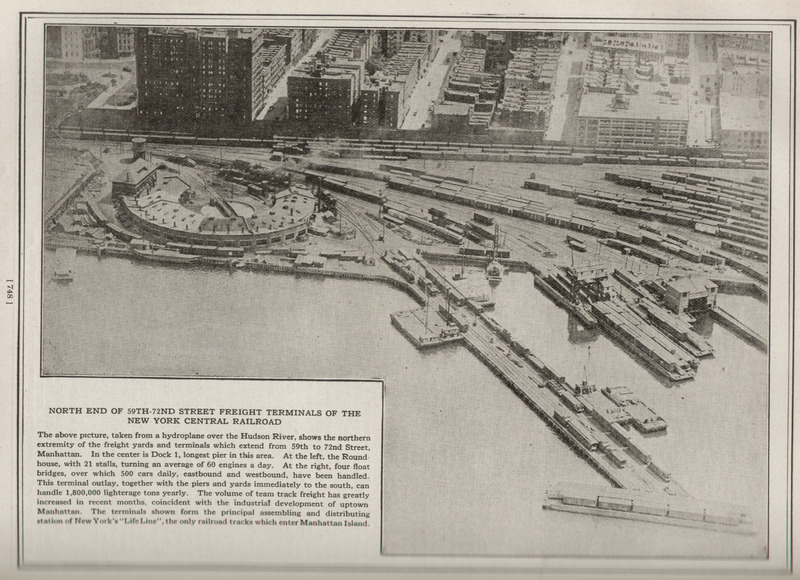 Pier I and most of Riverside Park South were originally part of the abandoned Penn Central railyard between 59th and 72nd Streets. Reconstructed to its original length of 795 feet, the pier has been narrowed considerably and is now only about 55 feet at its widest part where it once was wide enough to fit four parallel railroad tracks. Most piers are built perpendicular to the shore, but Pier I, along with its old neighbors Piers B, D, E, F and G as well as the nearby gantry, were built at a 55-degree angle to the shore to facilitate the transfer of rail cars from their tracks to a waiting barge. Only pilings remain of Piers B, D, E, F and G, but the ninety-five year old gantry remains standing today. 72nd Street floating dock is about 200 yards south of the 79th Street Boat Basin Marina. 72nd Street offers walk up kayaking every weekend and holiday from 10 am until 5 pm, with the last boat going out at 4:30 pm (Seasonal). 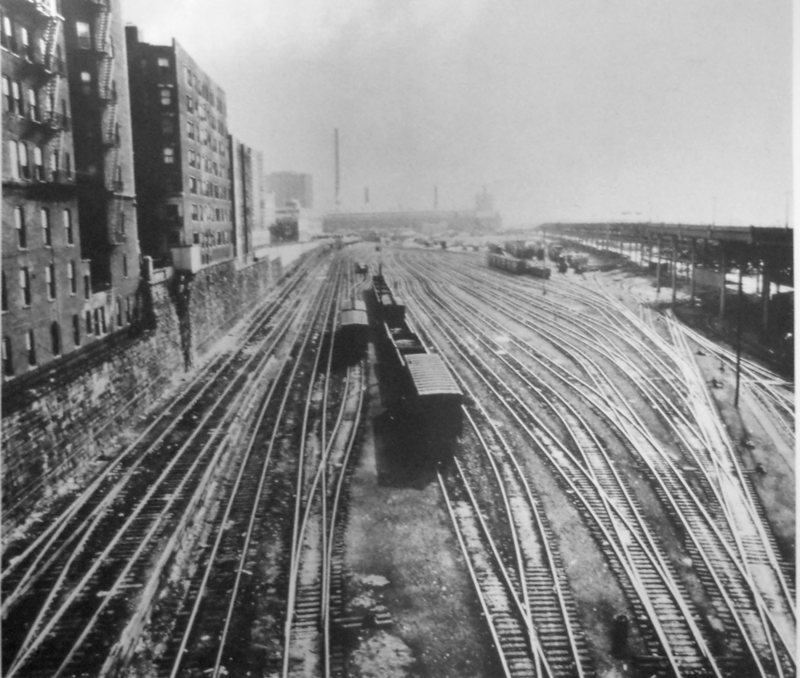 The 69th Street Transfer Bridge, part of the West Side Line of the New York Central Railroad, was a dock for car floats which allowed the transfer of railroad cars from the rail line to car floats which crossed the Hudson River to the Weehawken Yards in New Jersey. Its innovative linkspan design kept the boxcarsfrom falling into the river while being loaded. The Columbia Yacht Club was founded in 1867. Headquarters were then at the foot of West Fifty-Seventh Street. In 1874 the club moved up to the foot of West Eighty-Sixth Street and the Hudson River. 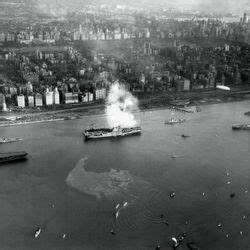 Source: http://www.thehistorybox.com/ny_city/nycity_columbia_yacht_club_article00712.htm. In 1935, as part of the West Side Improvement project, Robert Moses kicked the Columbia Yacht Club from its home and destroyed the buildings.